on one. Use prohibited by NEC section 384-16 (e)beginning with the 1978 edition. The date on the box is May 27 1963, so it's almost as old as I am. The reason they were no longer permitted in Article 384 went something like this — They were used to provide one 3ø circuit in a 1ø 3w panelboard. 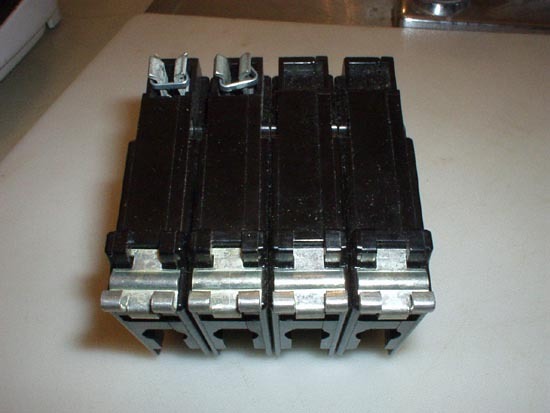 The 1ø panelboard could serve a 3ø load such as a package air conditioner in a retail store where everything else on the feeder/service entrance was 1ø. They were shot down as a potential shock hazard—where the 1ø panelboard disconnect was opened, there could be backfeed through the highleg in the ‘outboard’/'delta' 3ø circuit through the served 3ø load. 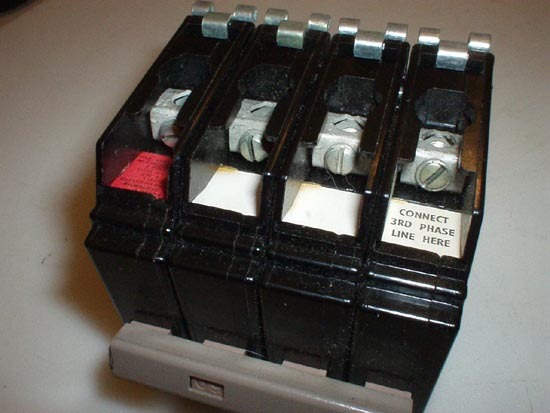 Norcal’s pictured ‘4-space/3-pole’ breaker has 4 cable connections (lugs) and two bus clips to connect to two (1ø) ‘hot’ busses in the panelboard. The sole highleg breaker pole had ‘in and out’ cable lugs. It was a strangely fitting compliment to 4-wire delta electric service with an ‘outboard’ transformer for 240/120 4-wire (in some cases open-)delta systems. Wow even though there was a potential shock hazard, it was still marked "safetybreaker" on the box!! 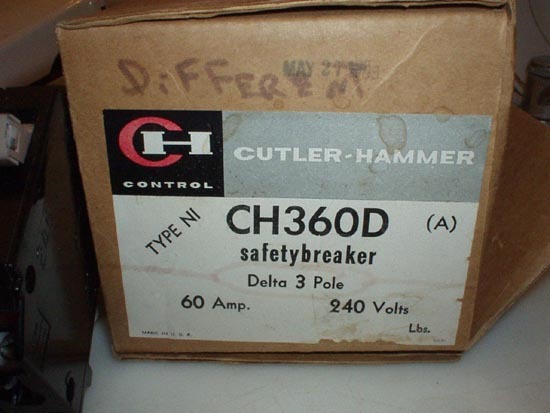 What is called the Cutler-Hammer "Classic" now had "Safetybreaker" on the package for many years. Scott,thank you for replaceing the photos the detail is much clearer.